You may remember me mentioning that I received an iPad Mini from CVS/pharmacy to review their new myWeeklyAd feature. I ended up loving my iPad Mini WAY more than I thought I would, and I swore that I would keep it for me, and only me, to use. 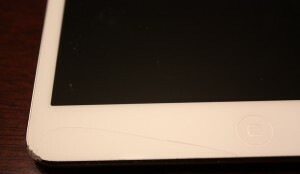 Like most parents, I have relinquished my iPad, iPod and even my iPhone to my kids, and inevitably they end up breaking something. I protected my iPad Mini fiercely, to the point that I don’t think they even realized that I had one. I ordered a pretty black case with purple polka dots on it (because I wasn’t sharing with my husband either!) and I carried my iPad Mini with me everywhere. Then, one day I needed to occupy my 3 year old while I was in the shower. My iPad Mini was laying next to the bed so I let her watch cartoons on it (via Amazon Prime). When we were ready to leave the house her show wasn’t over, so I let her carry the iPad with her to the car. BIG mistake. She took one step out the front door and it fell face first on the concrete porch. Now. It could have been worse. It could have been WAY worse. The viewing area of the screen was unblemished, but two corners were scratched up and the glass around the outside edge of the viewing screen had cracks in it in a couple of places. I was still pretty upset, and annoyed that my cute polka dot case didn’t do much to protect my new tablet. That’s why I jumped when the folks at The Snugg emailed and asked if I would like to try one of their iPad Mini Leather Cases. The Snugg cases are made of genuine leather and come in a variety of colors. I chose red, isn’t it pretty? 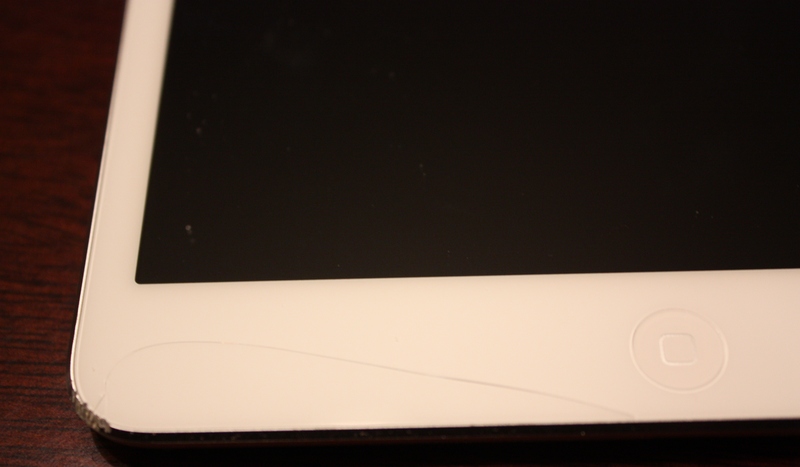 As you can see from the image above, it fully protects my iPad – AND covers up the damage. Here are some additional views of the case, from The Snugg website. You can view all of the Snug iPad Mini Cases here. So far I am extremely happy with this case. It is lightweight, I like that it’s not slippery and feels nice to hold, has auto wake/sleep and as mentioned above I feel that it provides great protection for my device. 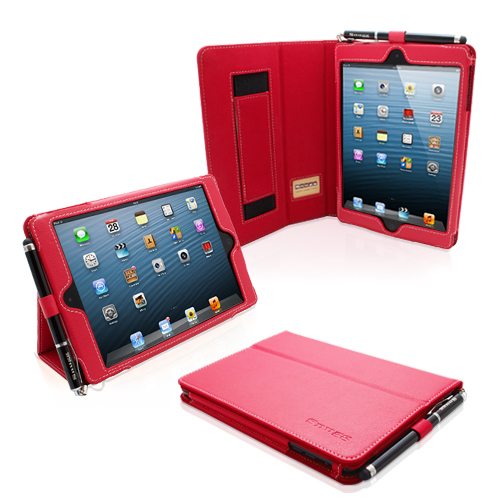 You can find more Snugg products on Amazon for your iPad Mini, iPad Air, iPad 2, and iPhone. Most of these cases run $29.99 or less, which, in my opinion, is a GREAT value! 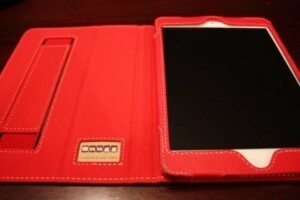 Disclosure: I received a leather iPad Mini case from the Snugg to review. No other compensation was received. Opinions expressed here are strictly my own. View my disclosure policy here.